Now that 2019 has arrived, it is the time of year when we begin to think about the warmth of Spring – and the April tax deadline! As our members work on their 2018 tax returns, the question comes up: “What portion of my NAHU dues can I deduct as a normal business expense?” Per the IRS regulations, the following percentages of 2018 dues vs. 2018 lobbying expenses for the three NAHU membership levels determine the allowable deductible amount. $ 38,722.50/ $ (19,393.50/.50%) = 50% of ISAHU dues are paid in lobbying expenses. Therefore, only 50% of the ISAHU dues can be deducted as “normal business expense”. 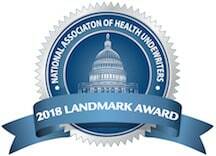 As announced by NAHU, the 2018 House of Delegates approved an increase to the annual NAHU dues. (The last increase approved was eight years ago.) Beginning on January 1, 2019, the new dues amount will be $465.00 annually (including the local and state dues amounts). If you pay your dues via EFT, the new amount to be drawn from your account each month will be $38.75. If you are not paying your dues via EFT, please consider doing so! When dues are automatically paid each month, there is no danger of missing the annual renewal notice – and finding that your membership has inadvertently lapsed. You can make this change by visiting www.NAHU.org. Under “Membership”, click on “Renew Now”, then “Option 6: Transfer from annual to monthly dues payment” and entering your bank information. If you pay monthly via credit card, please be sure to update your information when you receive a new credit card, so your membership does not lapse. 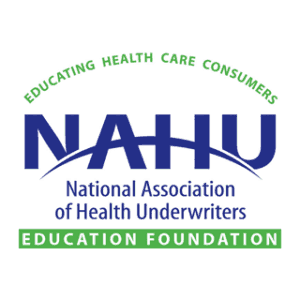 The new dues amount began on January 1, 2019 and increases the monthly NAHU dues by $5.00 ($60.00 annually). Because of this increase to our 2019 dues, the percent of NAHU dues that will be eligible to be deducted for 2019 will increase to $242.50. The final amount of dues eligible to be deducted for 2019 cannot be figured until the ISAHU lobbying costs are determined in December 2019.